Red-breasted Geese (Branta ruficollis) are a small goose species that breeds in the tundras of Russia. They over-winter in European countries near the Black Sea like Bulgaria and Romania. 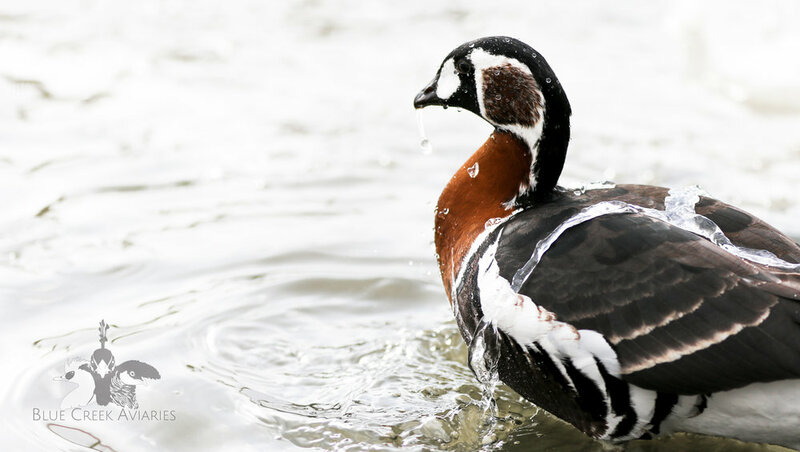 Red-breasted Geese are facing threats in the wild, especially from hunting, which is why they are classified as Vulnerable by the IUCN as of 2015. These geese are undoubtedly one of the most attractive northern goose species, and it would be shame to let such a stunning bird slip away. 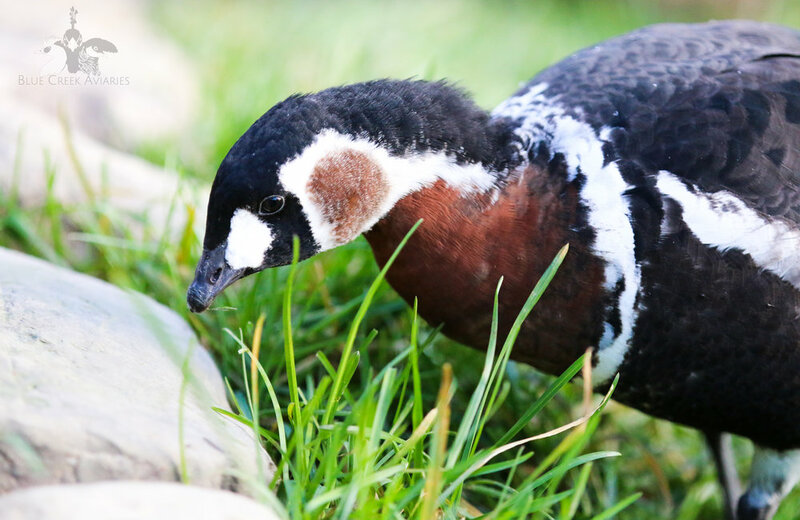 Red-breasted Geese are available in captivity, although they do tend to pose some challenges in breeding them. My Red-breasted Geese are from Livingston Ripley Waterfowl Conservancy. Red-breasted Geese typically mature when they are three years old. However, I found that my geese started establishing pair bonds as early as one year old. This is currently my first season with them, with one of the hens laying as a two year old. I will be adding more details later on regarding breeding information. Overall, geese have amazing personalities and are a pleasure to own, but Red-breasted Geese are more noisy than some other alternative goose species. As with any geese, you must have an aviary or lawn large enough that there will always be a supply of grass for the geese to graze. In the north, it is important to provide the geese with fresh greens, like romaine hearts, during the winter as well.